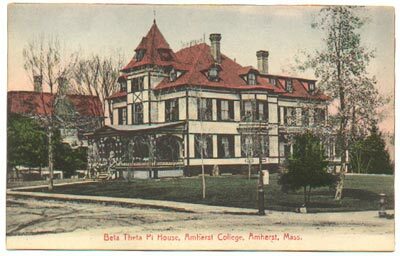 The Beta Iota Chapter of Beta Theta Pi was chartered at Amherst in 1883 (King, 151). 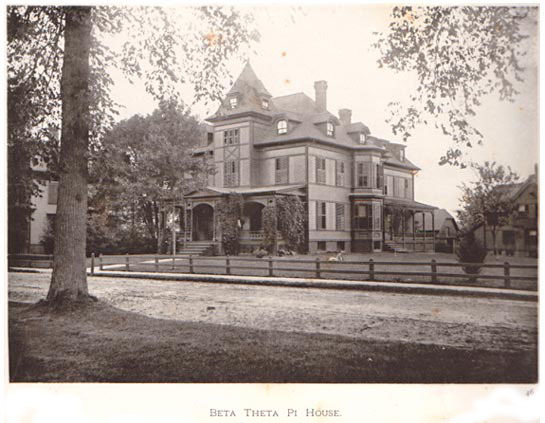 This is their first building, located on Boltwood Avenue. The current Garman House was built on this site in 1916. Photo below from Bierstadt's Sunlight Pictures (41).